If you’re checking out this Vector Marketing review, then you must be searching for a job? Yes? Have you been hitting those job boards? Then you have run across those job ads for Vector Marketing. If you were like me, then you saw something not quite right about those ad and their website. So you started checking out the Vector Marketing reviews. Well, I did the same thing. This Vector Marketing review will tell you what I found in my research. I have never worked for this company and in no way represent them. 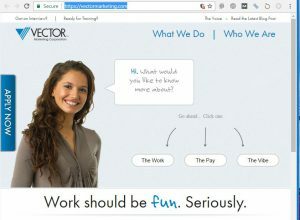 Vector Marketing Review: Job Opportunity? Even though Vector Marketing has an interview process and talks about the money you will make with them, they don’t have any jobs for you. Vector Marketing will not hire you as an employee. They are looking for independent contractors. What does this mean for you? You’ll not earn an hourly wage. This is a business opportunity and you’ll earn based on how well your business performs. How Will You Make Money With Vector Marketing? As an independent contractor, you’ll be selling Cutco knives. You’ll be working on commission which means how much you earn will be based on the number of products you sell. Hey, their website says they have a “guaranteed base salary”. A base salary is to protect people when on commission only if they don’t sell any of the product. This is what scares people about going commission. The “guaranteed base salary” is not an hourly wage. It’s a flat fee for each appointment set and the product presented to a potential customer. This fee is small. 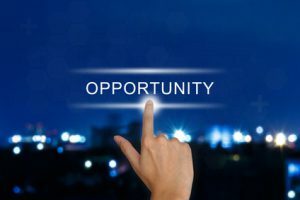 Is The Vector Marketing Opportunity legit? When you go to the interview with the correct understanding of what Vector Marketing is offering, yes it’s legit. The problem is that the way Vector Marketing is advertising, it appears you are applying and interview for a job when it’s actually a business opportunity. This is why you see so many Vector Marketing reviews saying they are a scam. People are going to the “job” interview then realize they are being recruited for a business opportunity. They feel tricked, betrayed or deceived. So I understand why they say it’s a scam. Vector Marketing is a legit company with a high quality product that is made in the USA. Their recruiting methods are a bit shady. The job ads that I saw and their website (https://vectormarketing.com/) do not say your applying for a job. Yet they are posted on job boards and nothing says business opportunity so it’s a little deceptive because people are assuming it’s a job. There’s no way they don’t know this. Should You Go To The Vector Marketing Interview? If you are searching for a job with an hourly wage and benefits, absolutely not. This is not for you. If you are interested in sales with unlimited income potential that is 100% dependent on your ability to sell, then yes you should go to the interview. This appears to be a good opportunity to get experience in the sales industry. They provide training and pay you just to present the product even if you don’t sell anything. Of course the pay for the presentations is very small. If you are going to jump into sales with Vector Marketing or anyone else you should do your own training/studying to improve you sales skills. Grant Cardone is one of the best trainers in the industry. You should check out some of his books and sales training programs. Lastly for those of you who are looking for a business opportunity but don’t want to sell Cutco knives in someone’s kitchen, check out my #1 business opportunity review here.